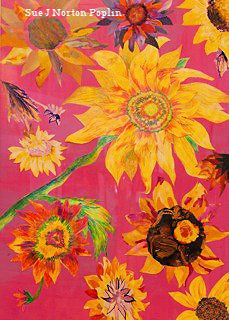 “Sunflower Splash” is a collage I created using colored pencils, watercolors and cut and town colored magazine pieces. Sunflowers are my favorite flowers because they are happy flowers. I hope this splash of sunflowers makes you smile inside!